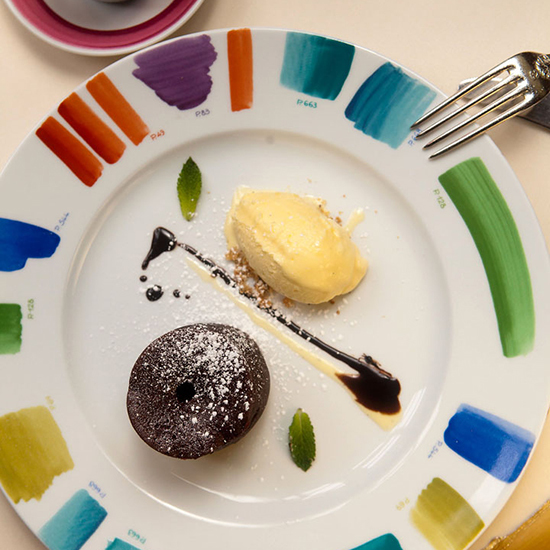 Chef Marc Vetri's signature chocolate soufflé has been on the menu at his flagship restaurant, Vetri, for over 15 years. Chef Marc Vetri's signature chocolate soufflé has been on the menu at his flagship restaurant, Vetri, for over 15 years. What's the secret to this crowd-pleasing dessert? The chocolate flavor gets extra depth thanks to a spicy 58 percent cocoa couverture and a touch of dry polenta in the batter adds a fantastic, grainy texture.